Food is more than the sum of its ingredients, a mere source of nutrients — even more than the glorious experience of enjoying a delicious snack on the go. The smell and taste of our favorite dishes often trigger powerful memories. A whiff of a particular aroma takes us back to moments we thought all but forgotten. 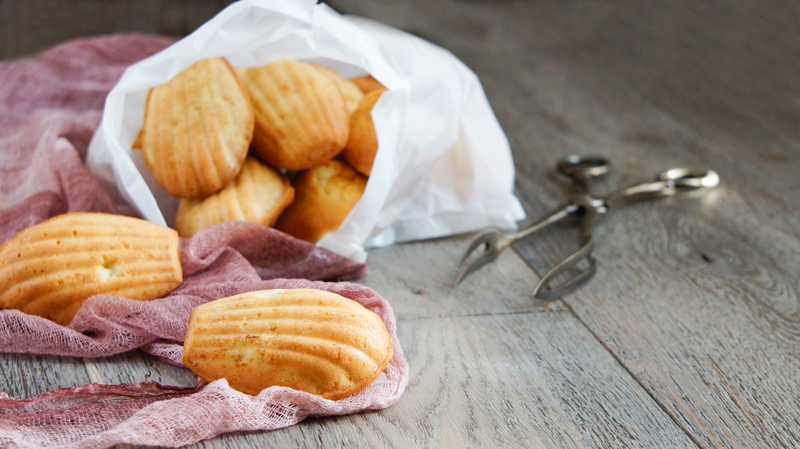 Indeed, one of the most famous scenes in the history of literature focuses on the peculiar taste of Madeleine sponge cake dipped into linden tea. The very moment when the tea-soaked crumbs touch the narrator’s palate evoke strong memories of his childhood, starting off the 4,000-page masterpiece In Search of Lost Time by Marcel Proust. Don’t worry! This article is just a tad shorter than nine volumes of stream-of-consciousness narration. We have asked five members of the multinational InterNations Team about their favorite street food from around the world, and what these yummy dishes mean to them. 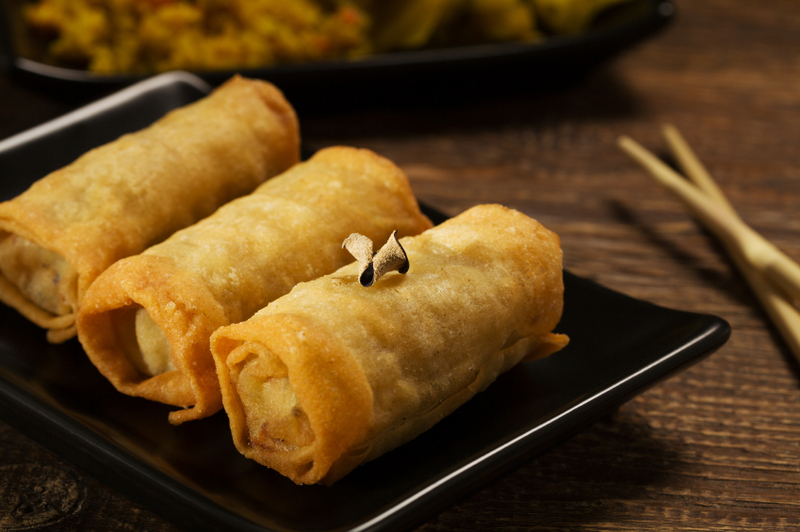 Different varieties of egg roll or spring roll are a staple of diverse Asian cuisines, from mainland China to Malaysia, but Victoria, a US expat, loves Hmong egg rolls in particular. For her, the taste of ground pork, mixed with shredded carrots and cabbage, seasoned with a touch of cilantro and oyster sauce, isn’t a reminder of a backpacking trip overseas: it’s a favorite memory of things to do back home, in Oshkosh, Wisconsin. Every Saturday, the local farmers market offers homegrown produce and homemade food to the 66,000 residents of the small, mid-western town. There are always several food trucks selling Hmong specialties among them. There’s a large community of circa 50,000 Hmong from Laos and Vietnam living in Wisconsin, where they resettled as political refugees after the Vietnam War. In fact, they are the biggest group of Asian-Americans in the “Badger State”, with its predominantly German and Scandinavian heritage. The produce from their market gardens has become a staple at Wisconsin country fairs, adding to the ever popular cheeses and sausages. 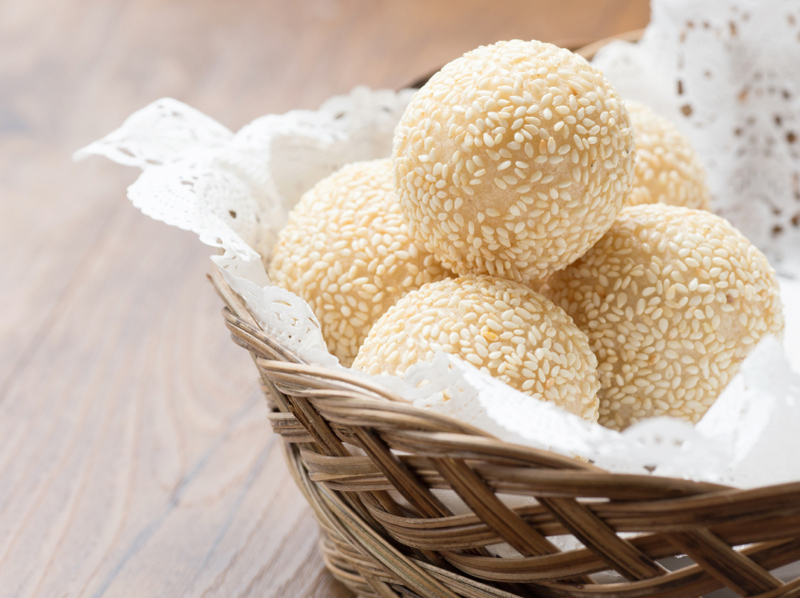 Onde-onde is a typical dessert from Malaysia and Indonesia. The little dumplings literally burst into a sweet cloud of palm sugar as soon as you take the first bite: in addition to the sugary goodness, they consist of sticky rice flour, pandan juice with its distinctive flavor, and plenty of coconut gratings or sesame seeds. So far, Vera has found it difficult to buy onde-onde here in Germany, but she hopes her Indonesian friends will teach her how to make it herself one day and to recapture that special sweetness. “Street food is an incredibly important part of Thai culture, especially in Bangkok,” Blandine remembers. A French-British third-culture kid born in Singapore, she lived in Thailand for 13 years and grew up there. She moved to the UK to attend university in Bath, but it’s Thailand she still considers home. 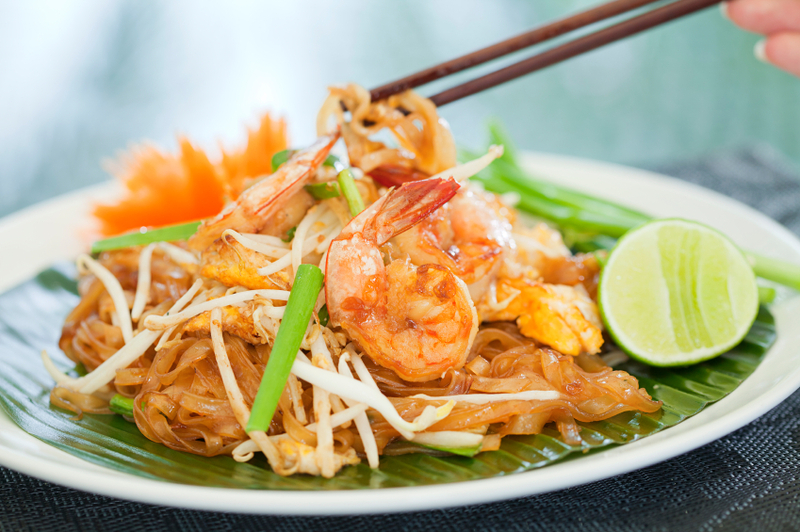 Pad thai, the traditional stir-fry dish of rice noodles with fresh seafood, served with juicy lime wedges and crunchy roasted peanuts, is a familiar feature on many a fast food menu. “You can find pad thai in any Thai restaurant, but it’s never quite the same,” Blandine insists. There are plenty of little street markets with various food stalls all over Munich, especially in the weeks before Christmas, and Lenore, another US expat, explains how happy she was to stumble upon one particular stall in her neighborhood. The two dishes are in fact very similar: both involve deep-frying a rich, buttery dough and serving the pastry piping hot, preferably with lots and lots of powdered sugar. Personally, I associate the traditional Strauben with the taste of cranberry jelly — another popular topping — and the festive atmosphere of the holiday season. For Lenore, funnel cakes taste of “autumn and family togetherness”. 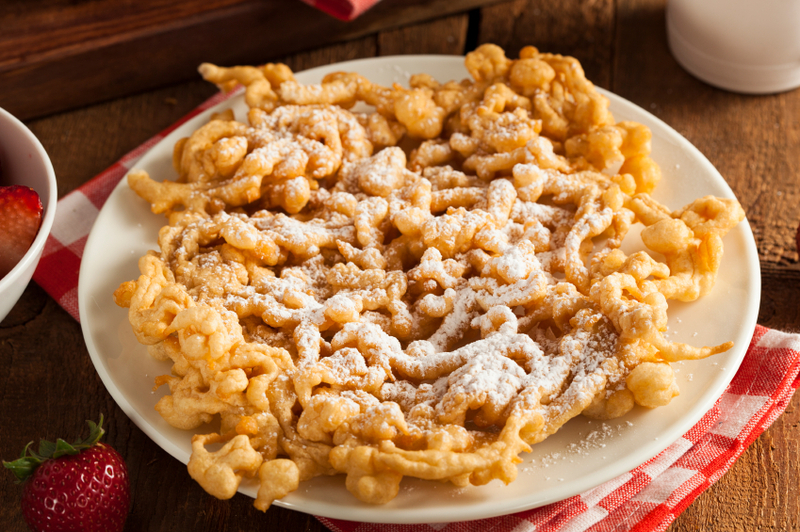 In the US, funnel cake is a typical fairground food, and she specifically remembers eating it at the historic arts and crafts fair in nearby Waterford, Virginia. As one of the team’s resident Bavarians, I probably should put in a word for our local street food specialty: the ubiquitous Leberkässemmel. The expression literally means “liver cheese bun”, but as I enjoy pointing out, it contains neither cheese nor liver. A Leberkäsesemmel is a slice of meat loaf with a crunchy brown crust, served on a soft bread roll and liberally seasoned with sweet mustard. Yes, sweet mustard with kibbled seeds and brown sugar, not Dijon mustard or, God forbid, ketchup. Leberkäse is hardly the stuff that healthy diets are made of. It’s greasier than the famous Broadway musical, which is why it makes excellent hangover food. To me, it doesn’t just taste of ground pork, fat, and mustard topping. It rather reminds me of finally turning old enough to go out and party till after midnight. The local food stall Würschtl Toni (“Sausage Tony”, now run by a middle-aged lady called Erika), a veritable institution, was the only venue still open to (very) late-night party-goers. They probably owed their entire existence to inebriated students, as well as grumbling taxi drivers and paramedics working nightshifts. As far as I know, they have now branched out into burgers, but that’s just not the same!